Hi Dimple – we discard it immediately! We take food safety very seriously. Our staff are extensively trained covering areas such as food safety, food quality, cleanliness, sanitation and workplace safety. These concerns are at the forefront of our business, and McDonald’s crew are supervised to ensure our high standards are met. We also conduct robust internal checks every day to ensure all our restaurants operate to these standards. And like any food business, our restaurants are subject to local health department audits as well. We hope that puts any doubts you may have to rest, Dimple. Let us know if you have another question! How much added sugar is present in your burger buns? If there are different quantities in different buns, then please elaborate. Thanks, Rahul. 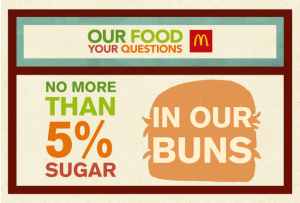 We can tell you that there is no more than 5% sugar in our buns; in fact we reduced the amount of sugar in our buns back in 2004. All of our buns have no more than 5% sugar, no matter the variety. We use sugar in our baking process, not only for sweetness, but to provide a soft bun, consistent in size and texture with that golden brown finish when toasted! Why is the cheese on the fillet of fish so small now ? Hey, Rahul. 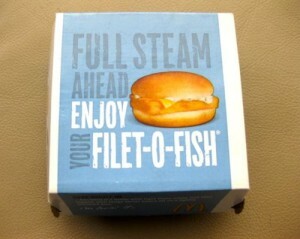 We actually use a half slice of cheese on our Filet-o-Fish, as we have always done. We feel that provides the perfect balance for the tangy tartar sauce and crispness of the coating. Also, we don’t want the cheese to steal the show from our fabulous fish. If you like, you can always request more cheese (for a small price) to make it just right for your taste buds. What are the chicken nuggets made of ? The main ingredient in our Chicken McNuggets will come as no surprise, Mahesh. It’s chicken! To make our nuggets, we use chicken breasts, some skin, water and a few seasonings for flavour and to maintain succulence. After mincing, the breast and skin are mixed with the water and seasoning before shaping under pressure and being battered, breaded and coated with our tasty tempura batter. Hope that’s answered your question! 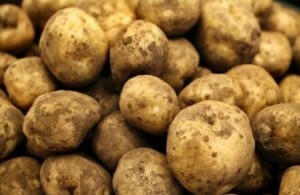 Where do your potatoes come from? I am told your fries aren’t from real potatoes.! Our potatoes are as real as the Earth is round, Priya – and that’s where they start out. They come from Deesa & Kheda district in Gujarat. We use the McCain potatoes exclusively. These whole potatoes are cut and prepared by McCain, then sent to us so we can cook up fresh orders of our world famous fries.